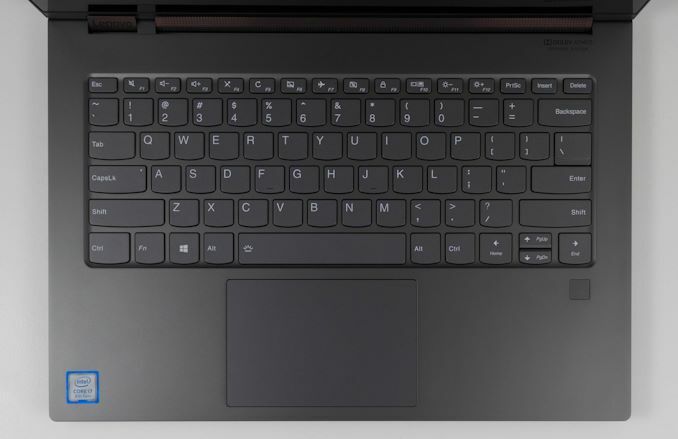 It would be easy to gloss over the fact that this laptop is a convertible with a 360° hinge, because the Yoga-style hinge has pretty much won the market in terms of convertible laptops. And these days, opting for a convertible notebook doesn’t bring much in the way of drawbacks either. If you are in the market for an Ultrabook, there’s almost no downside to opting for a convertible with a Yoga hinge, compared to a typical laptop. When used in their laptop form factor, they offer the same performance and weight distribution you’d expect. But, they add in the option of other modes that even if only rarely used, are downright useful in their own way. If you want to watch a movie on an airplane, you can of course do that with a normal laptop, but the ability to flip the keyboard underneath and use the device in Stand Mode puts you much closer to the screen, and Stand Mode along with Tent Mode offer an immersive experience you’re not going to get with a typical laptop. 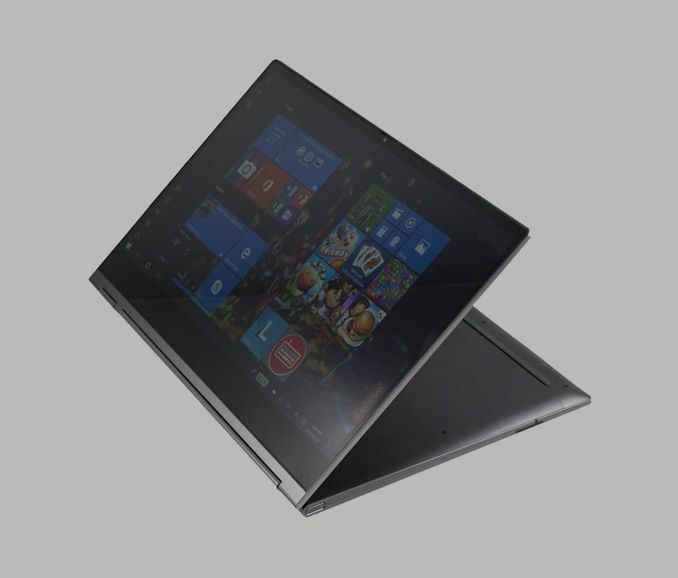 Lenovo’s Yoga C930 has a very sleek aluminum design, and the finish is simply superb. The entire device is wonderful to hold, and somehow doesn’t seem to attract fingerprints as easily most notebooks. The back of the device is a muted design, with just the Yoga branding in the top corner. The full-length rubber strips on the bottom provide excellent traction when using it as a laptop, and this is really one of the nicest designs Lenovo has ever come up with. It really is a stunning looking laptop when it’s closed. Opening it up, the display bezels on the side are thin, although not class-leading. The upper bezel is wide enough to house the webcam in the correct location, which is nice. The bottom bezel is quite large though, and while it is nice to have the display sitting up a bit so your hands don’t cover it when typing, it’s so large that it would have been nice to see a taller aspect ratio display fitted to leverage some of that space. Even in tablet mode you would be unlikely to need that kind of a lip to hang on to. The trackpad on this notebook is superb, offering a great feel thanks to the smooth glass surface. It offers precise control, and has no issues with multi-touch gestures either. The size is larger than you’d maybe expect in a 14-inch laptop, but not so large that it ever feels awkward. The left side houses all of the ports, with both USB-C ports for the Thunderbolt 3, and the USB-A port as well. Luckily laptops haven’t yet jumped on the silly train of removing the 3.5mm jacks, and that’s also on the left side. The right side features just the power button, situated on the side of the laptop so that it is usable no matter how the display is situated. 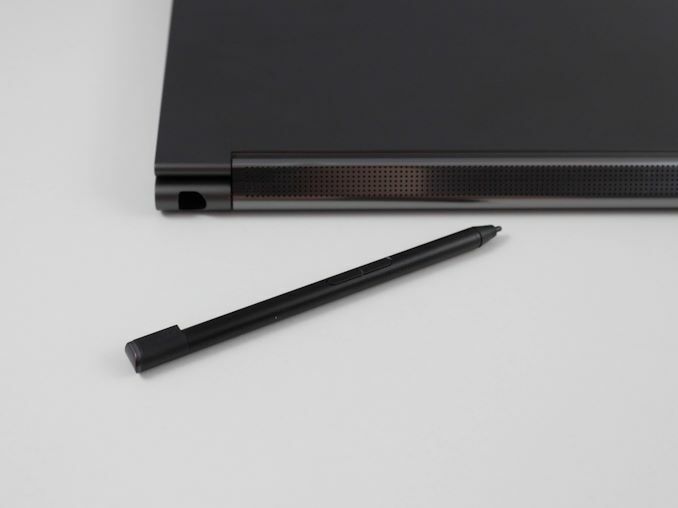 The rear of the laptop houses the active pen. The active pen is not going to be something for artists, and can’t compete with something like the Microsoft Surface Pen or the Apple Pencil, mostly because of the ergonomics of it. It’s very small, very thin, and not as comfortable to hold as any of the larger active pens. What it lacks in ergonomics it does make up for in convenience though, since the pen is always available, and always charged, thanks to the built-in housing. It clicks in and out with a reassuring click, meaning it’s not going to fall off in your bag like something that’s magnetically attached to the side of a device. For note-taking, which is what this pen is really for, the latency and pressure sensitivity is excellent. 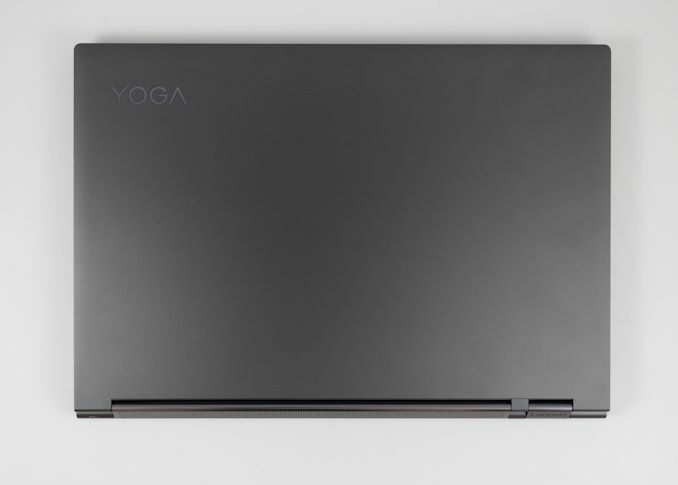 The design of the Yoga C930 is fantastic. The build quality is excellent. The device looks and feels absolutely top-notch, and offers the increased versatility of the Yoga hinge allowing for a device that adapts to your usage, rather than you adapting to a device. If there was one complaint, it would be that the bottom display bezel is quite large, but it doesn’t really distract from the experience.